Example: www.MyDomainz.com Please write only one (1) domain for each submission. Thank you. We suggest you put a BUY IT NOW Price. This helps Serious Buyers make outright purchases without going through anymore on the bidding process. By using this form, You confirm you are the owner or authorized representative of the "Domain Name" submitted through this site. 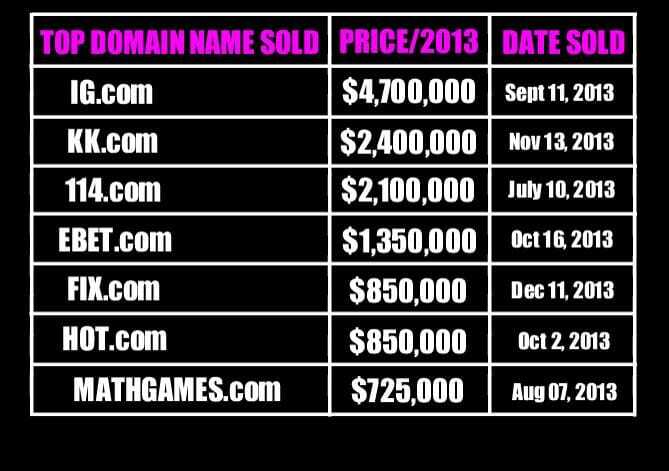 Below are some of the list of the highest prices paid for domain names as noted in the news and media.